Do you want your bar to be perfectly represented on the Internet? In addition to a professionally designed website, you would also need a suitable and memorable domain. This may be easily achieved with the .bar domain, which was created especially for this purpose. A domain name doesn't necessarily have to end in .com, .net, .bg, or other similar extensions anymore. 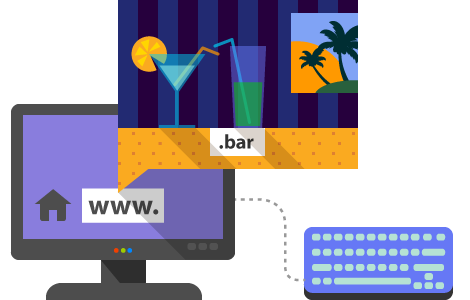 All you need to do is register the name of your bar with a .bar domain. That way you will be sure that your site is memorable and easy to find by your current and potential customers. Register now your .bar domain, before someone else registers the name that you want!